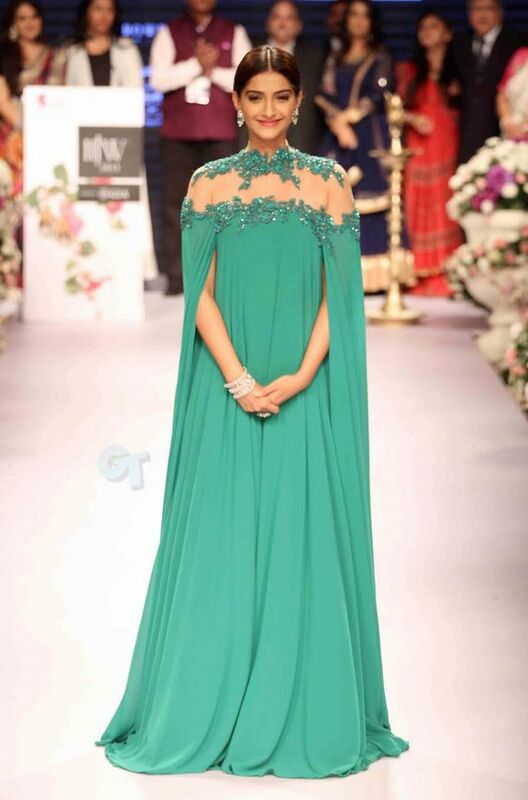 The cape trend was first spotted on Sonam Kapoor when she made an appearance at Cannes Red carpet in a cape saree and ever since capes have been see here there and every where in the Indian fashion scene. 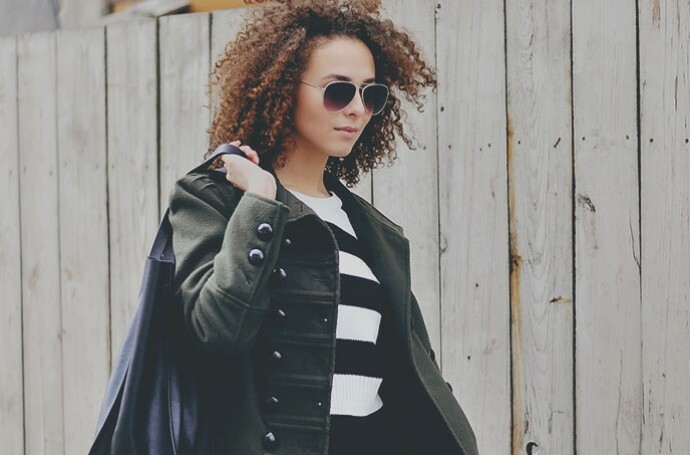 Here are 7 fun ways to rock the amazing cape trend. Want to up your saree game, make it look contemporary with a traditional touch? try the cape saree trend. 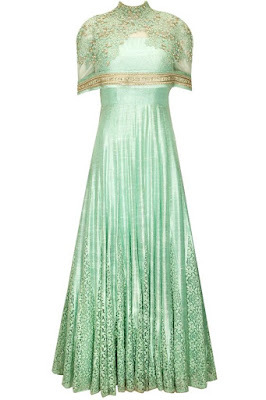 Drape your saree the normal way and add a sheer cape in contrasting colour over it. Easy peasy, no accessories requied you are good to go. You can even add a necklace like Sonam did at cannes. 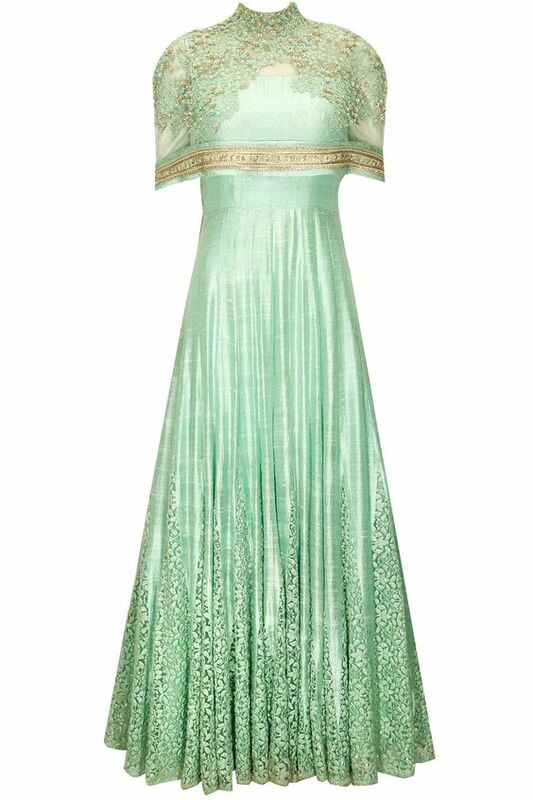 When it comes to weddings lehengas are etrenal favourites. Add a dash of sash to your lehenga look by skipping the dupatta and opting for a cape . Tada! blend of modern and tradition. Free flowing silhouttes are super welcome in summers. 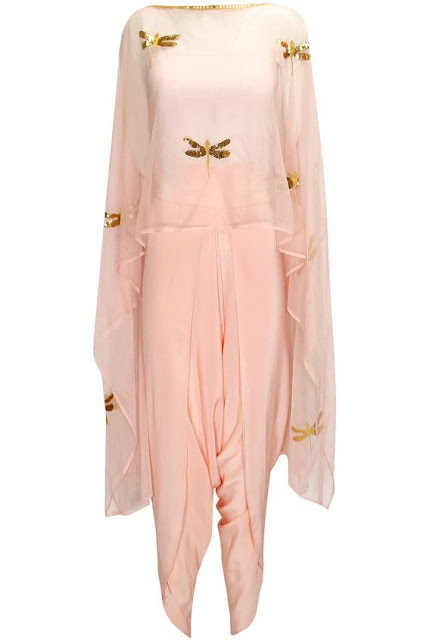 Pair your breezy dhoti pants with a cape and go indo western the chic way. Shararas and Palazzos are coming back in trend , so why not go a step ahead pair wo hot trend ? the cape and the sharara can be paired to bring about a unique ethnic look. 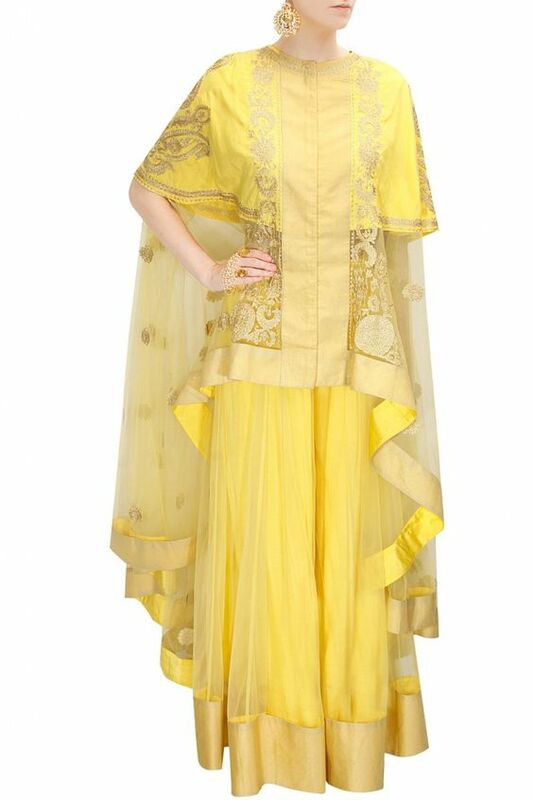 See how sonali gupta pairs this yellow cape and sharara for inspiration. Anarkalis are pretty much everywhere so the best way to stand out when wearing an anarkali is to bring in variations. You can pair a cape with your anarkali.but this has to be done very carefully or it will end up looking funny. 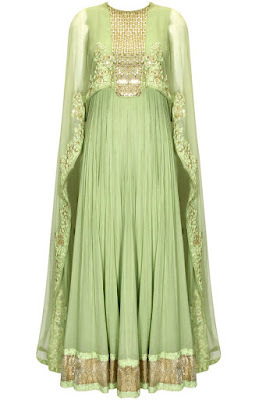 If the anarkali has work at the bust area, go for a sheer capeto show off the work yet be different. 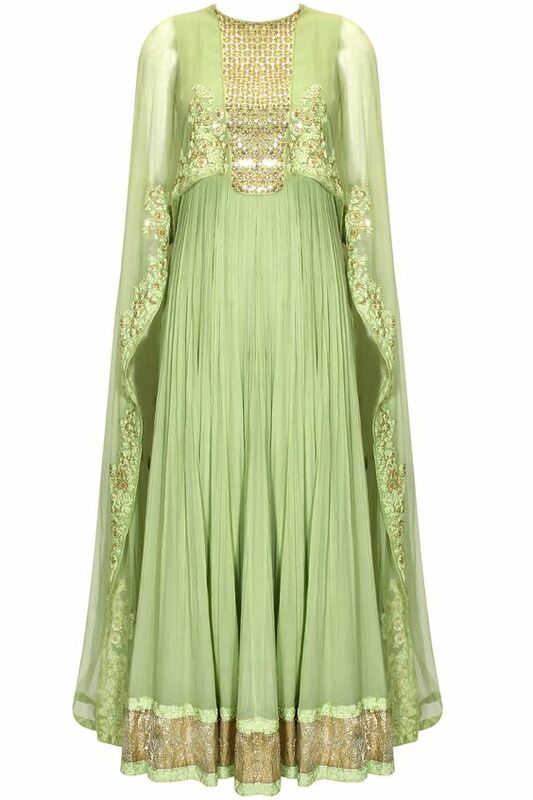 if the anarkali is plain in the neck area adda solid cape in contrasting colour . You can even add a cape in rich fabric like raw silk to bring about a regal feel. If all this feels too much of an experiment for you then just buy an anarkali with an attached cape. 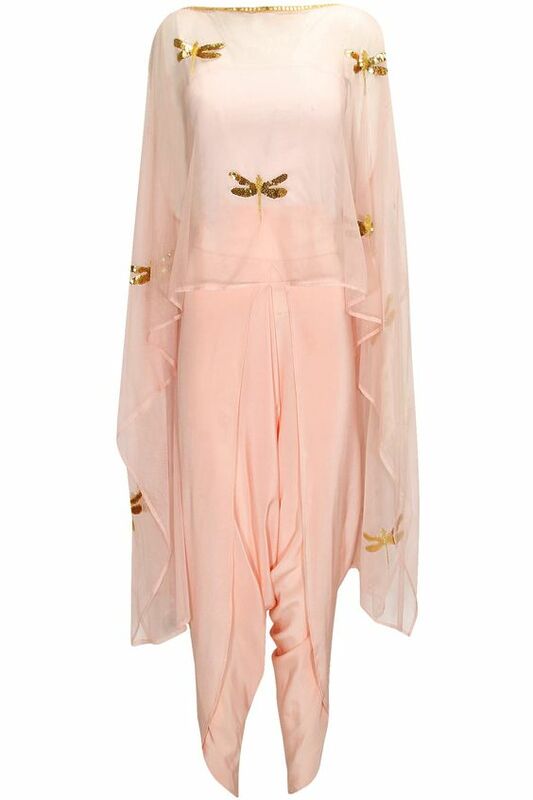 The best way to really pair a cape with ethnic wear is to keep it sheer. This works well if you have tones arms and flat belly, show them off in style. ! Which way will you be rocking the cape trend?